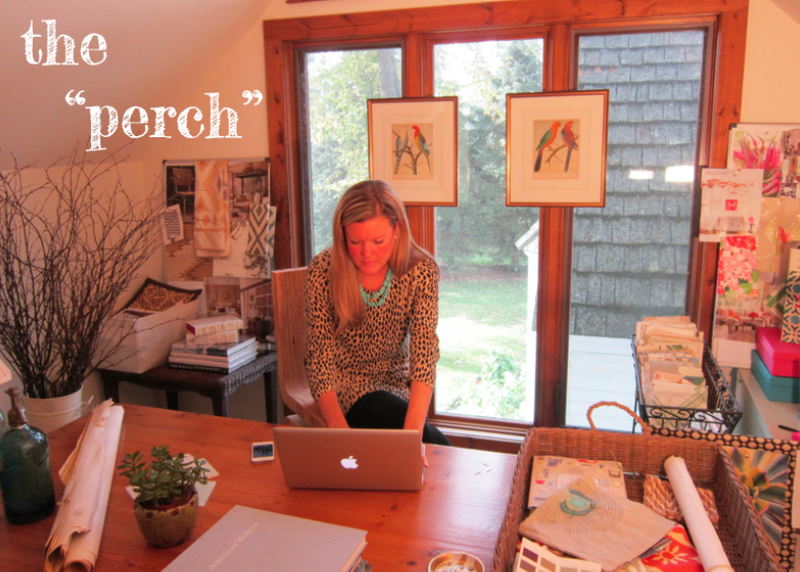 delight by design: the "perch"
I have a busy week ahead, which means that I will be spending quite a bit of time in my office. So, I thought I would share a few little shots of my eclectic, cozy and inspirational workspace, fondly known as the "perch." The "perch" is housed in the hay loft of an old barn. 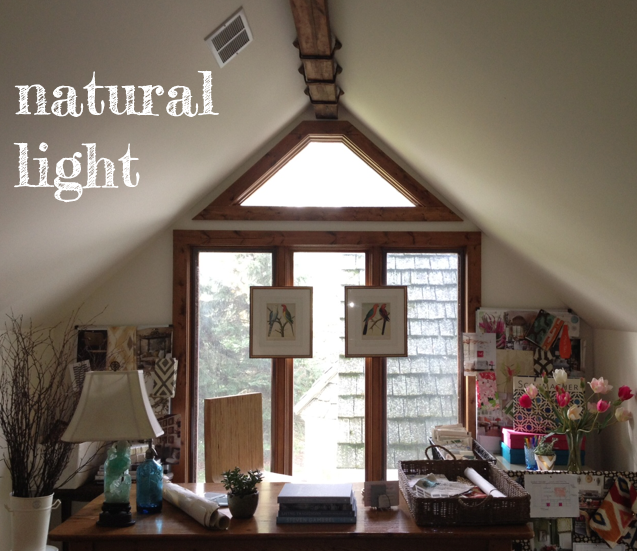 The doors to the loft were replaced with floor to ceiling windows which let in the most amazing light. My desk chair is one-of-kind piece made by my younger brother out of plywood. I am still a bit baffled at how he constructed it -- I just know that I adore it and that it is surprisingly comfortable. 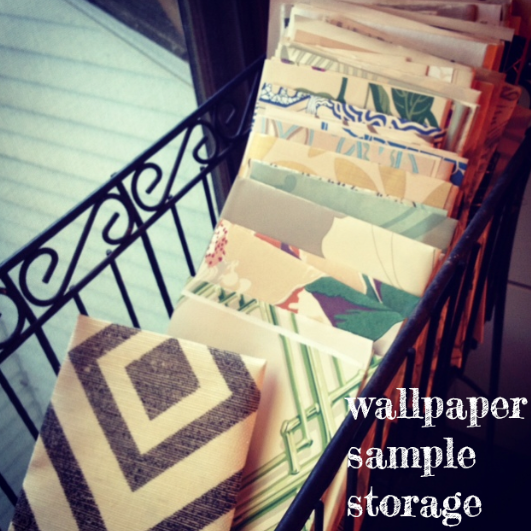 Most of my samples are stored away in drawers, but I love the smell of wallpaper too much to hide the samples away. So they are prominent stored in a planter - I told you it was eclectic. 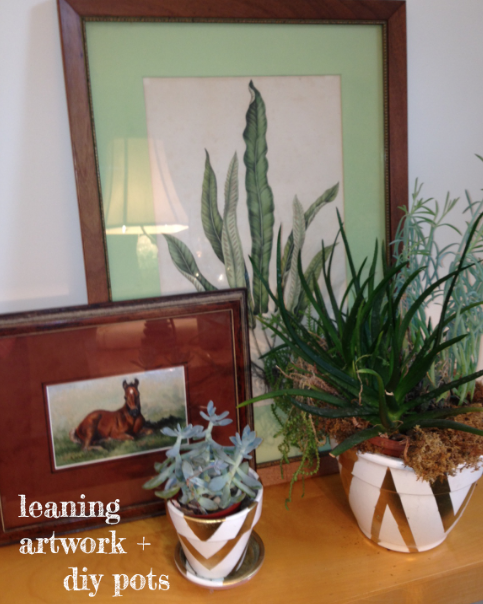 A little vignette, featuring one of my first pieces of art (the horse) and some DIY pots that I made earlier this year. 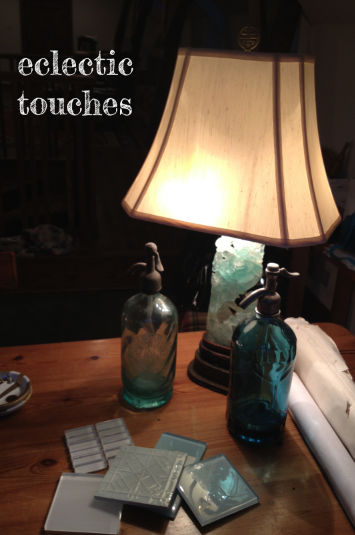 For a bit more color - an antique jade lamp (the base is a parrot) and vintage seltzer bottles. loving the mix of patterns & colors on the pretty wood backdrop. looks like a serene and creative space! What an amazing space to work, be creative and get inspired! I just love it. 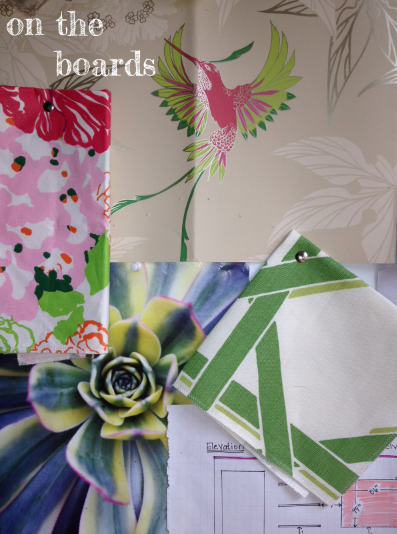 And I, too, adore the smell of wallpaper! Loving everything about your perch! 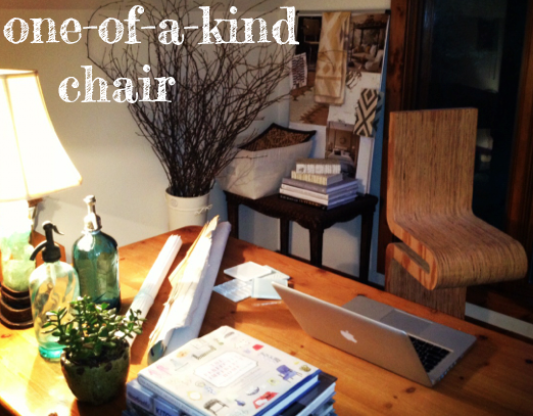 That chair is so special, and your wallpaper basket (planter) is a great organizational tool! Your perch is lovely. And I too like an eclectic space - especially when it is things you love! Thanks for sharing! I am going to put samples in my empty plant stand right now....why not fill it with beautiful samples that don't require watering! Great idea. Such a cool "perch". I love the natural light and all of the wood. It's so pretty and inviting. What a great space! So inviting! Lovely space to create. Would you be interested in sharing your creative journey and what inspires you? 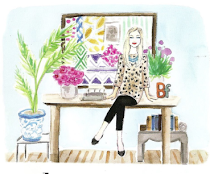 As an artist dedicated to living an artful life, I know that my readers would love to see how you begin....and the steps you take to complete a design job from your perch. Do you have steps or a process? What a great and inspirational space! I need to work on my office, you have inspired me to get to it! The first space are more impressive to me .